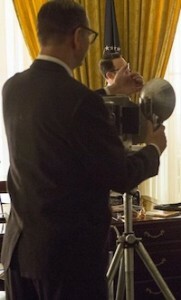 The most requested image in the US Government’s National Archive is a photograph of President Richard Nixon with Elvis Presley. 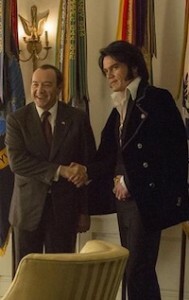 It seems that Presley (Shannon) made a request to become a drug enforcement agent, and, as a result was able to visit Nixon (Spacey) in the Oval Office on December 21st 1970. While we’ll never know what really happened when these two mighty egos met in one room (or what was discussed), a photograph WAS taken to preserve the event for posterity. This fictional account is both entertaining and very amusing.